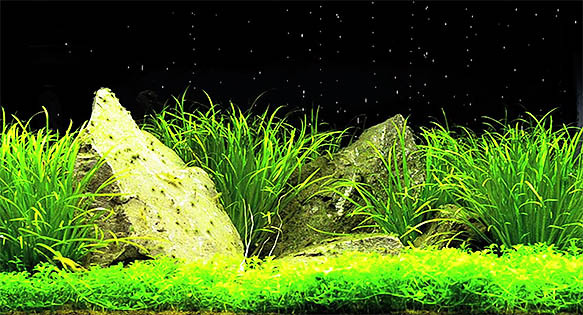 ﻿ VIDEO: Tyler Koch's Planted Aquarium with Time-Lapse Night Sky Effect! VIDEO: Tyler Koch’s Planted Aquarium with Time-Lapse Night Sky Effect! Ok, I’m taking tremendous poetic license when describing this video gem of a planted tank by Tyler Koch. But suspend your belief in the obvious for a moment, and just think about the black, starry night sky whizzing past in a time-lapse fashion. Yes…it reminds me of starships traveling at “warp speed” in Star Trek! Visit Koch’s Youtube Channel, TWK Aquascaping, for more impressive planted aquascape aquarium footage.